*-Prayer Flags is a small book that contains brief life stories of Dharma Lord Gampopa, Phagmo Drupa, and Lord Jigten Sumgön, as well as some Dharma-realization songs by lineage masters. There are some short teachings on the stages of Mahamudra practice, and condensed instructions on how to carry the experiences of sickness and death into one's practice. *-The Garland of Mahamudra Practices is very helpful for those who already have a little understanding of the Dharma. It contains a description of several practices: the four foundation thoughts (precious human life, awareness of impermanence, karma, and the suffering of samsara); the four extraordinary preliminary practices (refuge, Vajrasattva, mandala offering, and Guru Yoga); the special Ngondro practices of love, compassion, and bodhicitta; yidam deity practice; special four-kaya guru yoga; a mahamudra session; and dedication. *-In Search of the Stainless Ambrosia was written by Khenchen Rinpoche as an introduction for beginners and a reminder for more advanced practitioners. First, it summarizes the fundamental teachings of refuge, love and compassion, and the six paramitas. Then, there are short sections on mahamudra and yidam practices, the experience of dying, an explanation of Chöd practice, and some Phowa teachings. *-The Great Kagyu Masters is a translation of a thirteenth century text that puts the life stories of the great masters together in one volume: Tilopa, Naropa, Atisha, Marpa, Milarepa, Gampopa, Phagmo Drupa, and Jigten Sumgön. It is very helpful for practitioners to have these accounts available for inspiration and guidance. *-The Jewel Treasury of Advice is a translation of a profound teaching, written in verse by Drigung Dharmaradza. The text describes the complete path of the Buddha's teachings. Its commentary, A Complete Guide to the Buddhist Path, made these teachings more accessible, and easier for modern practitioners to understand these profound teachings. *-The Jewel Ornament of Liberation is a translation of Lord Gampopa's essential philosophy text, which is said to act as Gampopa's regent in these times. This book contains a complete form of the sutra system called lam rim, or stages of the path-right from the starting point, the ground where you enter into the path, until you achieve Buddhahood and manifest activities for the benefit of infinite sentient beings. *-Calling to the Lama from Afar is a collection of accounts of Lord Jigten Sumgön, the founder of Drigung Kagyu, some in verse and prose. The prayers and praises translated in this text express the depth of genuine devotion in a manner that is characteristic of this genre of Tibetan literature. *-Khenchen Rinpoche wrote Transformation of Suffering: A Handbook for Practitioners for study by individuals or groups without ready access to a qualified spiritual master. The book contains all the foundations of Buddhism in very accessible terms. This book is in very accessible language, but it contains information essential for beginners and advanced practitioners alike. *-Pearl Rosary is work that Khenchen Rinpoche himself wrote. It contains detailed commentary on ten common deity yoga practices, such as Chenrezig, Tara, and Manjushri, as well as the translated sadhanas or practice texts. It includes the meaning and importance of each practice, the significance of the symbolism and attributes of each deity, and detailed instructions on visualization. This book is also especially valuable for those who do not have the good fortune to see a qualified lama often, and for serious practitioners to use as a reminder. *-A Complete Guide to the Buddhist Path is Khenchen Rinpoche's commentary on The Jewel Treasury of Advice. This book goes right to the point by providing clear instruction on the practical meaning of Dharma and on meditation practice. The root text is organized into two parts. The first part contains general advice for daily life and the second part id directed more specifically to practitioners. Realistically, if we want to attain enlightenment without facing any obstacles, we have to know what to do and how to do it. This book outlines what to expect and gives us very valuable counsel from the author's own experience of the reality of samsara and nirvana. *-Forthcoming Title: Confusion Dawning into Wisdom is a book of commentary on some of the vajra songs of Milarepa and Jigten Sumgön. Those vajra songs contain vast and profound meaning, which Khenchen Rinpoche has simplified and clarified so that practitioners can understand their meaning directly. These translations and commentaries were done to benefit all sentient beings, especially sincere Dharma practitioners. It is not easy to translate and write commentaries; these books took a long time and many painful measures to produce. But Rinpoche underwent this hardship without much support with a sincere wish to bring enlightened wisdom into the world. So many people are desperate to become free from suffering while at the same time they indulge in the causes of suffering. 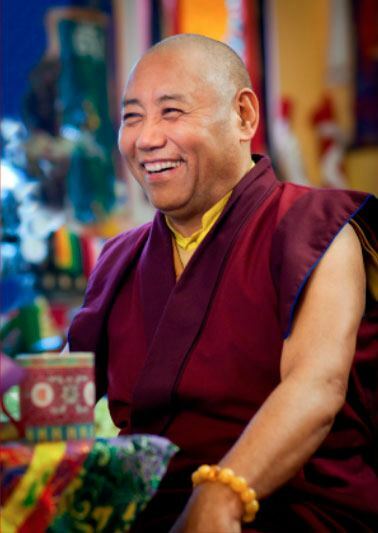 Rinpoche prays for those individuals to be exposed to these teachings, find the path, and follow it with incisive wisdom so that they can breathe in peace and happiness - for them to really solve life's problems, not just with material consumption but by understanding the importance of the mind or consciousness. He request that anyone who has a chance to see these books to please read them carefully, digest their meaning, and apply their teachings. There can be no doubt that the result will arise.